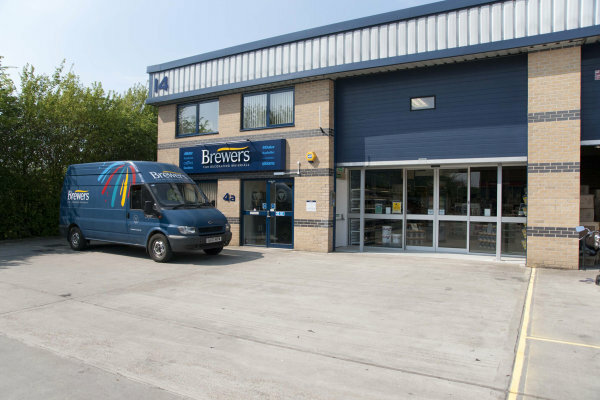 Brewers Decorator Centre in Colchester stocks the usual reliably wide array of paints, wallpapers and decorating accessories and equipment. There’s a paint mixing facility and tinting machine in store, and of course the Wallpaper Direct and Designer Paint kiosks to help you make the right choice. We also have a kitchen showroom and you can book a kitchen design consultation with our regional kitchen design expert. Customer parking is provided right outside and the store is fully accessible for wheelchair users and people with limited mobility. We’re easy to find; the turning for Westside is right beside the Mercedes-Benz dealership on the B1408 London Road, and we’re just behind that. Head west on London Road and then turn left into the Westside Centre. Head east on London Road and then turn left into the Westside Centre.